Spotify on Wednesday launched a development platform designed to let third parties create applications that integrate with its popular digital music-streaming service. By giving external programmers access to its platform, Spotify hopes to make its service more appealing and multifeatured through applications that boost and extend its social and music capabilities, the company said. The Spotify Platform, as it's formally called, is launching with a set of initial applications from companies like Last.fm, SongKick, and TuneWiki, which respectively integrate editorial content, lyrics, and concert calendars into the service. Spotify, available in Europe for years, launched in the U.S. in July, and made a big splash in September at Facebook's F8 developer conference, where it was featured as one of the first companies to tightly integrate with Facebook using the social networking site's latest developer tools. Spotify currently has about 10 million registered users, including about 2.5 million who are on a fee-based tier of the service. Spotify has some 15 million songs in its catalog. 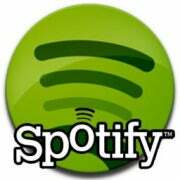 According to Michael McGuire, a Gartner analyst, the move is a smart one for Spotify, because, if properly executed, it will help the company retain its members by letting them engage in other music-related activities beyond streaming songs, right within the Spotify interface. "This is a very important initiative for Spotify," he said. Spotify should be able to attract developers to the program because it can offer them access to a big audience for their applications, but the company must make sure that the platform API (application programming interface), tools and policies are all well-designed, he said. It's also critical for Spotify to actively review and monitor the third-party applications to make sure that they don't behave in ways that users find disruptive, annoying, or intrusive, McGuire said. Spotify also needs to provide granular and intuitive controls for users to control what information they let the applications access, so that users don't find themselves inadvertently sharing information they didn't intend to, he said. Spotify users can browse the third-party applications in a section of the site called App Finder. At launch, there were a dozen applications available on the site, with four more coming soon. The platform is in beta, or test, mode. It is expected to be fully ready at some point in December. Spotify users have created about 500 million playlists. The number of registered users has grown by about 7 million since Spotify integrated its service with Facebook in September.